Thank you for staying connected with WOHVA and supporting OHV advocacy in WA State! We hope that you find this info helpful and share it with all of your OHV contacts and businesses you support. As you might already know, WOHVA was formed in 2006 in response to continued attacks on motorized off-highway vehicle (OHV) recreation and the resulting decrease in the numbers of available riding areas. The need was clear to create a more powerful & unified voice that could be used to advocate for OHV interests, both with legislators in Olympia as well as with land managers across the state. We also use a paid lobbyist to represent you in Olympia! WOHVA is an alliance comprised of several user groups: 4x4, SxS, ATV, and off-road motorcyclists as well as businesses. The alliance unites many of Washington's OHV clubs, associations, businesses, and their supporting members/customers. Combined, the alliance represents more than 13,000 OHV users in Washington State. However, there are nearly 100,000 ORV permit holders in Washington State and an estimated 200,000 ORV users in total ... we need your help to reach these folks! The 2018 Washington State legislative session is more than halfway through and one of their top priorities was to pass a capital budget. Senate Bill 6090 (SB6090) was passed and addressed the capital budget issue. All $13.2 million of the NOVA grant funding was appropriated. There were other versions of capital budget legislation that would have shorted the NOVA account by $2 million, but that went away about the same time as we started pointing out that we were aware of the theft attempt. A number of Discover Pass bills were in play and a couple of them would have a pro-OHV outcome. Only House Bill 2652 (HB2652) made it past the cutoff day to be moved out of committee. HB2652 would add some new Discover Pass exemptions for SnoPark day pass holders, lifetime veterans disability passes, vehicle used for ORV recreation that are transported to the site. It would require revalidation of senior citizen and disabled veterans passes every five years. It would create a lifetime disabled veterans pass. It would also require the DNR and WDFW to designate up to 12 free days. The exemption for vehicles transported to ORV recreation sites is a direct result of the hard work put in by former WOHVA board member Crystal Crowder. She put in a lot of time serving on the leadership team for the Ruckelhaus Center-led effort to improve recreation passes within Washington State. Unfortunately none of the current Discover Pass legislation would address the DNR misapplying pass requirements related to vehicles dual registered as both street vehicles and ORV. A few bills that would expand WATV road use were introduced and one of them is still alive. House Bill 2723 (HB2723) would include WATVs in the definition of ORV for the purposes of using roads in cities with a population under 3,000. This would open WATV road use in cities that already allow ORV road use. This bill was passed by the House of Representatives 98 to 0 and is now before the Senate Transportation Committee. House Bill 2756 (HB2756) would have created a pilot program for expanded WATV road use. It would have also restructured how the nonhighway road use exclusion is described and would allow using multiuse roadway safety account funds for promoting the WATV pilot program. This bill died in the House Transportation Committee without being brought up for a vote. House Bill 2934 (HB2934) would have allowed WATV use on state highways with speed limits of 35 mph or less in areas where WATV street use is legal. It too was assigned to the House Transportation Committee and died without being voted on. 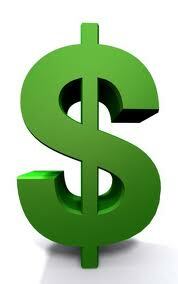 On the negative side there are a few so called carbon tax bills floating about. In addition to taxing other things, they would all add a new tax on motor vehicle fuel. Depending on the bill, that tax would start out at between 14 and 22 cents a gallon with built in annual increases. Since none of that gas tax revenue includes a corresponding increase in the NOVA appropriation we strongly oppose this sort of legislation. As always, the WOHVA legislative team will be diligently working these issues throughout the duration of the legislative session. For this month's interview, Ben Janin caught up with Vicki Gray to learn of her life and motorsports passions. For over thirty-three years the timeless Vicki Gray has been "hawking bikes." Relentless in her efforts to make a positive impact on the sports we love, the always approachable, likeable, and energetic Vicki Gray seems to make time for everyone. Vicki has a natural ease about herself that one might not know she is the President of South Sound and South Bound Honda; is a founding board member of the Washington Off Highway Vehicle Alliance (WOHVA); sits on the Powersports Advisory Board to Honda; and chairs its parts and service committee. Given recent events, it only felt appropriate that we get perspective from a woman and dealership owner. Ben: Vicki - From a historical perspective can you give us a little background on your career? 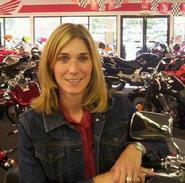 Vicki: I started out in Port Townsend as a parts and sales person at a small Honda dealership. Later on I moved on to work for a couple dealers as a parts person, before settling down at Brothers Powersports for about ten years as their accessory manager. I was lucky to get into our sports during this time because I had access to a lot of great mentors who have since passed. Mentors like John Wycoff, Hine Garrick, Ed Lemco and Judie Pratt. Judie Pratt was not only an owner of the first dealership that I worked at, but also a genuine enthusiast who loved motorcycles. I learned a lot from Ed Lemco on how to run a dealership, the sales, parts and service. He wrote an actual manual on how to run a dealership and he did training as well, it was so impactful. For the last twenty-two years I have served as President to South Bound Honda, before taking on South Sound Honda thirteen years ago. Jeff has been our business partner during that span, and I have learned a lot from him. It takes a team and he does his does his role well. Most recently I have been part of the Powersports Advisory Board to Honda. I chair the parts and service committee. This has been a great and satisfying experience for me! We are working across the country soliciting the best practices to dealerships, and then work with corporate Honda in developing policy and/or programs that will help all dealers be more successful. For instance, dealers need technicians now more than ever. This was a job description that was hit hard by the recession. We have had preliminary discussions on developing a training and mentoring program for entry-level technicians through Honda's training center. We aim to go beyond the traditional path of education and we are opening jobs for those that want to come into the industry right now. Ben: Give us a status update on the Powersports Industry. Vicki: Well, it's definitely stumbling; it's having difficulty engaging the younger audience. This is an audience that is accustomed to quick satisfaction and one that has typically not been exposed to a lot of risk. While dirt bikes provide a great entry point for young people and motocross is very popular. Motocross is getting to be a pretty exclusive club, one that takes a lot of money and one that could be perceived as risky. Luckily our dealerships have a brand that appeals to the younger audience. It's important to make this generation feel that it's a safe mode of transportation and a great way to see our countryside. I have a great story worth sharing. A couple years back this young kid from Brazil shows up right here at our dealership doorstep. He shows up on this little 125 Honda that he has ridden all the way up from Brazil and he is on his way to Alaska! This new generation likes to do things and be adventuresome. They understand that their journeys will help form them. We have the opportunity to show them 'that a bike will do that much', and it will help form them. Oh the places you will go! Our country is big and has lots to see, and so here is this kid that shows up on our doorstep with his tiny bike and with one little suit case; a 1960's style suit case. One suit case. One little Honda. One giant sized adventure. Ben: How is the industry going to pull itself out of this rut? Vicki: It's going to be tough! But I do like the Motorcycle Industry Council's (MIC) new proposal introducing young people to our sports at events to which they attend. Events such as monster truck, NASCAR, music festivals, and other party type events. At these events there will be a locker room full of motorcycle gear and an entry-level or mid-level bike, depending upon rider experience, that an attendee will have the opportunity to ride. This is a great way to introduce or reintroduce the sport of motorcycling to a target audience. Ben: Given that 85% of the household purchases are decided by the women, as a women, mother and dealership owner - what advice can you give the industry, and us men, fathers and husbands? Basically, bottom line; treat others how you want to be treated. If you come across like she doesn't know anything it most likely will not result in a sale. In today's world, a woman might come walking in knowing a lot already. Even if she doesn't know, teach her how to get that education. Don't treat a woman like a child; she wants to be part of experience. It's important for men to share with their wives that motorcycling is a genuine interest that they really need to have. Everybody needs to have an outlet to release the stress in his or her lives and as your spouse this is an important thing to support. One step further and perhaps better is to get your spouse on a bike! These days our lives and family budgets are so busy. If you want the time and money to go riding as an individual and as a family, get mom on a bike. Getting her the individualized attention sharing with her that motorcycling is an important activity for you as a man and for all of us as family, that's where the secret sauce is. The next step is absolutely critical! When you finally get your spouse on a bike do not push them too hard! I see it time and time again, men telling their wives that they need a bigger bike. But they are afraid of a bigger bike. Don't tell them what to do, let them buy what they are comfortable with. And take them to a place that they know they can enjoy the sport responsibly and safely. Don't scare the living day lights out of your wife; we typically are not the risk takers. These days our peers are doing this and doing that, and there are so many things pulling at us now. The whole calendar is full and everyone is vying for our attention. The family has the opportunity to decide what is their passion, what do they want to do as a family. Look at a lot of motocross of life, the mom is so important! The mom is all about the family making sure that everyone is fed and taken care of. Ben: What feedback can you give on the "Plus 1" initiative? Vicki: The "Plus 1" initiative is great! It helps create a two way street between our customers and the dealership. As a dealership, over the years, we have always done a lot of consumer engagement through little rides that we have put on. But this is great, now when our customers go riding they invite someone. Often a wife will come into the dealership and she is not yet comfortable. But when our customers take the "Plus 1" camping and they bring their little bike, the wife comes back to the dealership with a smile. Outside influence from the dealer is so important. The users are the ones buying the product. They are often the ones that are sharing the bikes, helmets, gear, and most importantly - the experience. For our community and industry to benefit, the users are going to have to take part. It's going to take a joint effort. For a dealership to get customers hooked on motorcycling there are little things that we can do so the experience is not so overwhelming. Interstate 5 is not the destination. Help your new customers find places to go riding, quiet places with minimal distractions and start them on smaller bikes. There was a time that we did regular social activities at the dealership, like watching the Supercross races. That's something that has simmered out over the years, but perhaps we have the opportunity to revisit this. Maybe we can get going this spring and have an activity once a month. Ben: What are your thoughts that Harley Davidson has promoted a woman from Senior Vice President to Chief Operating Officer? Vicki: This is absolutely a good thing. It's been a long time coming. It has always been a struggle, as a female, to be recognized as an expert and to be respected for my knowledge. There should not be any gender barriers, but there has been. It's great to see that a woman of this caliber is finally recognized. Ben: What three things would you advise any person to do if they intend to work in the industry? Vicki: Be passionate about the sport by being involved! This can be done in a number of ways. Such as riding with a group of your friends and sharing the adventure of motorcycling, or by spending time at the local motocross or road-race tracks. Being an ambassador and being involved is a must for the industry. I have met some of my very best and life-long friends by working in this industry. Work hard! One of the lessons I learned early on is work as if you owned the place because someday you might! We all have to work hard to accomplish more with less in today's market, but hard work and the willingness to change always pays off in the long run. And the last but probably the most important thing is to remember to treat customers like you would want to be treated. These people come to our stores to get the latest info and to find fun stuff to enjoy their sport. It is their stress release and escape from the everyday grind and it's our job to show them how cool our products are and how taking a ride on a motorcycle will enhance our lives for the better. Ben: What are parting words for our readers? Vicki: Don't be afraid to have fun! Get out there and enjoy life to the fullest. Work hard and play hard. It has always worked for me. Woody Allen's been quoted to say "90% of success in life is just showing up". In motorized off-road advocacy, that's a message we need to a better job of following. We all know that our riding areas are threatened, that our legislature is constantly challenged to balance their budget by borrowing from our NOVA funds, and that there are strong, capable groups whose mission is to put an end to our sport on any public land. What may not be so well known is that our sport is also strong and capable, that at one time we had nearly 100,000 off road permit holders in Washington, and that our statewide economic impact is over $2.2 billion (yes billion!). We are a big sport ... we just don't act like it. When we try to organize ourselves, to have our big sport have an equally big impact in the legislature, at the polls, or in other ways that would promote ourselves we falter. Now to be sure, we HAVE had successful advocacy and voting campaigns, and there are MANY great causes we've successfully promoted. But the most recent case in point where we're not "showing up" is in banding together to promote better legislation. When our Political Action Committee identifies either a pro or con position, and distributes messaging requesting emails, phone calls and the like to our legislators we have a tough time delivering. When we seek to create email lists to promote quick legislative responses we get frozen on the concerns of spamming and privacy and can't get past that to the original goal of promoting advocacy. JOIN UP – Join a club, join WOHVA, join the NMA, the PNW4WDA, WAATVA, or join the Blue Ribbon Coalition. All these organizations bring together like-minded individuals like yourself and many share simple, meaningful ways to contribute. Of those 100,000 permit holders, it's estimated that fewer than 10% even get involved. They all want to enjoy the sport, but they're unwilling to contribute beyond their playtime. And because of that, the remaining 10% (or 2%?) carry their water and risk burn out. 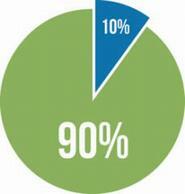 What would happen if 10% turned into 20% or more? Very good things! DONATE TIME – Surely all clubs, and likely all the other organizations above can suggest simple, efficient ways for you to contribute your time. But you need to start with the commitment to give that time. If you give just 8 hours each month, you can help promote positive legislation, or help in any number of other ways ... but it starts with your time commitment. BRING OTHERS – After joining up and donating time, the third step is to get others to join and donate as well. Help us penetrate that 90% block of riders who don't contribute. Help get them to "show up" and be part of the solution. There are clearly many ways to help promote our sport, and we'll share more in future issues. But if Woody's wisdom holds true, getting those riders and wheelers who don't contribute to join, donate, and bring others will surely help us on the road to successful advocacy for our sport. Our estimate is that there are less than 15,000 motorized off roaders working as advocates for their sport right now. That means that 85,000 other off-roaders are playing but not paying ... the 15,000 are working to keep their areas open and the laws appropriate. We have to turn that proportion upside down if we want to Save Our Sport.